Since the end of World War II, Germany has had an unofficial ban on reprinting Nazi leader Adolph Hitler's autobiographical manifesto. 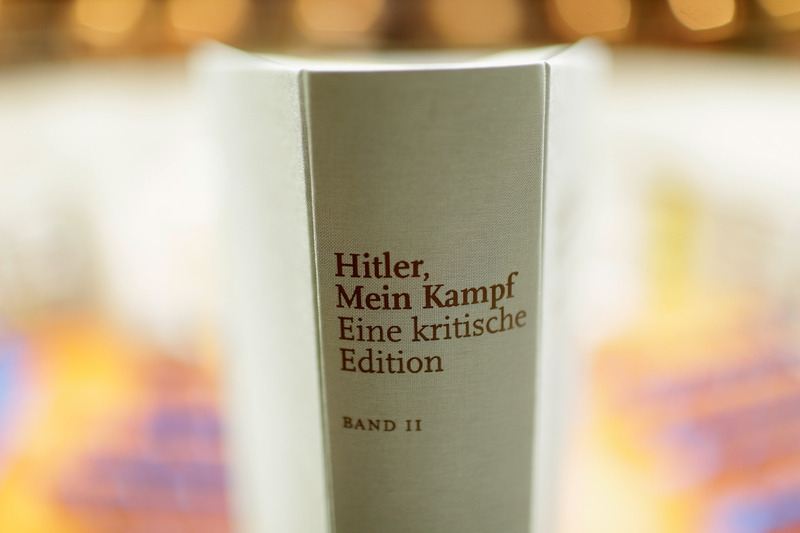 But in 2016, a heavily annotated edition of Mein Kampf will be published in Germany by the German Institute of Contemporary History, as the Bavarian-held copyright expires this year in December. Republishing Hitler's manifesto for the first time since he was walking this Earth has sparked a massive controversy, as Germans and people across the world wonder whether it can be taken as a historical, academic text or it will be used as a tool for extremism and antisemitism. In the reprinting, the German Institute of Contemporary History will annotate the 2,000-word text with criticism and commentary on Hitler and Nazi Germany as a whole. I am absolutely against the publication of 'Mein Kampf,' even with annotations. Can you annotate the Devil? Can you annotate a person like Hitler? Original copies of Mein Kampf in Germany are held under lock and key in the Bavarian State Library. Florian Sepp, the library's historian, agrees with Salomon, saying "This book is too dangerous for the general public." This book is most evil; it is the worst anti-Semitic pamphlet and a guidebook for the Holocaust ... It is a Pandora’s box that, once opened again, cannot be closed. I understand some immediately feel uncomfortable when a book that played such a dramatic role is made available again to the public ... On the other hand, I think that this is also a useful way of communicating historical education and enlightenment — a publication with the appropriate comments, exactly to prevent these traumatic events from ever happening again. The debate over a reprint of Mein Kampf is particularly heated today, as The Washington Post points out, because antisemitism is on the rise in Europe. And one side of the argument sees that publishing Hitler's manifesto can help, confronting Germany the mistakes of the past, while the other side sees it as only another instigator in the hate.